Fitbit slims its lineup, trims prices for the spring. Fitbit’s new lineup of watches and trackers isn’t meant to get you to replace your existing device with a new one. It’s meant for people who don’t have one yet. In fact, if you already own a Fitbit, the new members of the lineup will look remarkably similar to the one on your wrist. There’s a new member of the Versa family, an updated fitness band with a monochrome display, and a new tracker for kids. But they all have one thing in common: they’re cheaper than ever. The new devices couldn’t come at a better time. According to the company, Fitbit is still the number two smartwatch maker in the world behind Apple, but the gap is shrinking between it and its competitors. The company still posted growth in active users last year, but the rate was its slowest yet, just 10 percent over the prior year. 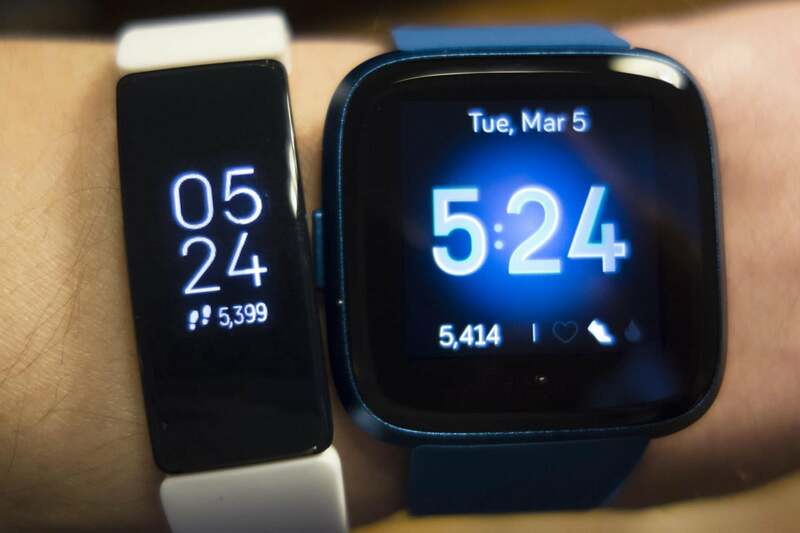 The main reason, according to Fitbit, is price and complexity, and the new lineup addresses those two things head on. All four new devices lower the barrier to entry, but it’s not just that prices have been reduced. Just as important, functionality has been simplified and the lineup has been streamlined, all with one goal: bringing more people into the Fitbit tent. 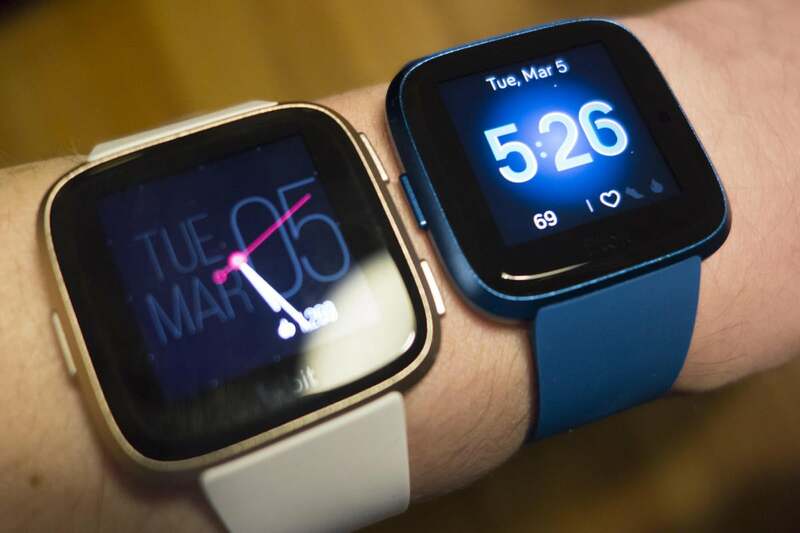 The Fitbit Versa Lite Edition looks and feels exactly the existing model but it costs $40 less ($160 versus $200) and comes in two new bold colors: blue and magenta, in addition to the traditional silver. It also has just a single power/wake button now, so all navigation is done by swiping and tapping the screen. Otherwise, the size, shape, and screen are all exactly the same. The Versa Lite (top) is the same size and shape as the regular Versa. That means the Versa Lite is every bit as stylish and comfortable as the original model. The bands are backwards compatible with the original models, and Fitbit is introducing a few new ones, including a hybrid knit strap that won’t fray during a workout. The new colors are particularly expressive, and look great with the new colorful watch faces. Like the original model, the Versa Lite uses your phone’s GPS for location, but the Lite model lacks the on-screen workouts as well as on-board Wi-Fi, so it can’t stream music on the go. And while the Versa Lite has the same “swimproof” 50-meter water resistance as the standard Versa, it doesn’t include automatic swim tracking. Nor does it have an altimeter, so it won’t record the floors you’ve climbed. However, Fitbit feels as though it’s made the right compromises with the Versa Lite. It has the same four-day battery life, and with a single button, there’s no confusion as to what needs to be pressed when (which is a bit of an issue on the original model). And thanks to a new update system, you’ll be able to start using your Versa Lite quicker than before. Even without Wi-Fi on board, Fitbit says the Versa’s updating process has been sped up so you don’t have to wait around for a giant files to download all at once. The Fitbit Inspire HR and Versa Lite and affordable versions of Fitbit’s popular trackers. For example, factory-fresh Fitbit Versa Lites will already have part of the Fitbit 3.0 system update downloaded on the watch, so setup installation will take just a few minutes. As new updates arrive, micro downloads will initiate each time you sync with your phone, so when you’re ready to install it, the process will be much faster. As such, the out-of-the-box update to my review unit installed much quicker than it did on prior Fitbit devices, and I was able to start using it in just a couple minutes. Also new to the Fitbit lineup are the Inspire and Inspire HR bands for $70 and $100, respectively, which will replace the aging Alta and Zip trackers. Small, sleek, water-resistant, and extremely lightweight, the Inspire doubles as a band or a clip-on, depending on the accessory you attach it to. The Fitbit Inspire HR is a little chunky, but it’s very comfortable on your wrist. It’s also incredibly simple. Like an ultra-small Charge 3, the Inspire has alarms, timers, and exercise apps when you swipe down, and an overview of today’s stats when you swipe up. It’ll automatically detect exercise and track your distance using your phone’s GPS. Both models also track your sleep, but the higher-priced HR model offers a full breakdown of your Sleep Stages thanks to its heart-rate monitor. Like the Alta it replaces, the Inspire HR is remarkably light and comfortable, but it’s also been given a refined, updated aesthetic. Bands, which use the standard pin system to snap on and off, are more flexible than the Alta, so small wrists will get a better fit. And as done previously, Fitbit will be selling an array of replacements in all sorts of styles, including fancy Milanese and double leather loops to mimic much more expensive watches. 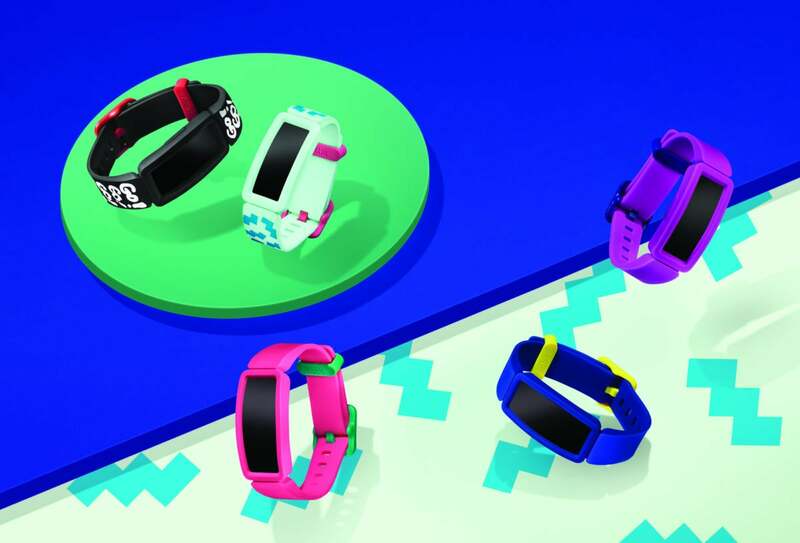 Rounding out the new lineup is a new Ace 2 band for kids. It has a younger minimum age (six instead of eight) and a much more whimsical design featuring a kid-proof bumper and brighter colors. There are also new animated faces that encourage kids to keep moving, including an adorable flower and monster that grow throughout the day as the Ace counts your steps. Sadly, the new faces can’t be installed on the original Ace, but the new version is far more affordable at $70 instead of $100, so parents won’t break the bank to get one. The Fitbit Ace 2 has a fun kid-centric design and animated watch faces. When your child outgrows the decidedly juvenile aesthetic, they won’t need to buy a new tracker. 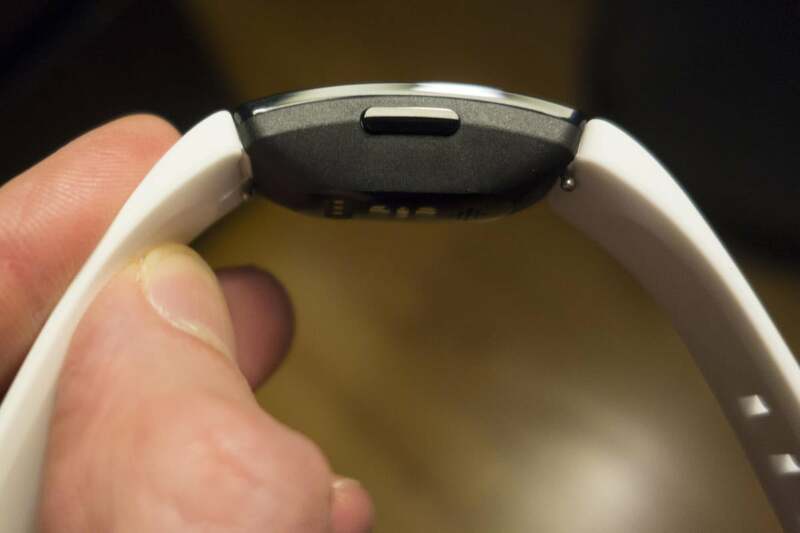 Inside the Ace 2’s bumper is a Fitbit Inspire, which can be popped out and attached to any of the Inspire bands Fitbit sells for a more adult look. If a child is tired of flowers and rocket ships once they turn 13, they’ll be able to switch out of kid view in the Fitbit app and swap it with any of the regular Inspire faces. Speaking of the Fitbit app, it’s also getting a new look to match the simpler aesthetic of its bands. Tabs will be whittled down from five to just three, with Discover, Today, and Community remaining. Stats will be tracked and collected like before, but the interface is getting an overhaul to make things easier to see at a glance and stay on top off your health goals. 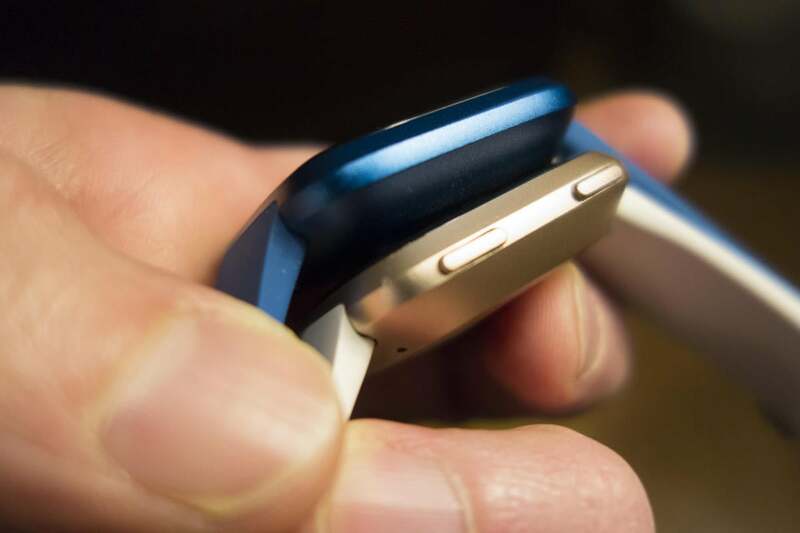 The new devices are all part of the push to get more people “On Fitbit.” Apple’s name was never uttered during Tuesday’s presentation, but it’s clear that Fitbit is targeting a more discerning and price-conscious user than the typic Apple Watch buyer, with attractive prices, stripped-down features, and a simple yet refined style. The Versa LiteRemove non-product link and Inspire bandsRemove non-product link are now available for preorder for shipping later in March, while the Ace 2 will hit stores by the summer.